Galactic gorgonzola! Meet a rocket-riding rodent who boldly goes where no mouse has gone before. 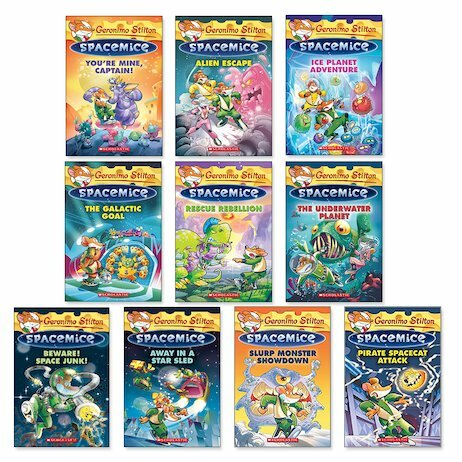 Say hello to brave spacemouse Geronimo Stiltonix: the rodent hero of a parallel universe. He is captain of the spaceship MouseStar 1, and his missions are out of this world. Alien rescues. Daring escapes. Evil pirate spacecats. There’s even a soccerix game in space! Forget the Milky Way. We’re off to the Cheddar Galaxy!